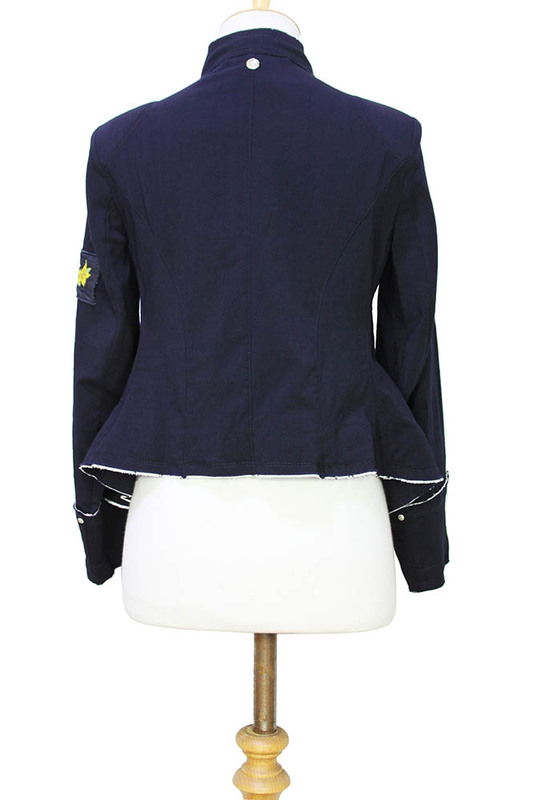 High 'Dalliance' double breasted, cut-away style jacket in navy blue wool cr�pe. Stand collar with raw edge inset and band of cream cotton. Double breasted front with 2 columns of 5 large mother of pearl buttons, the buttonholes are finished with silver metal mini studs. The front, hem and cuff have raw edges inset with cream cotton. Arm patch with floral embroidered motif. Hem dips lower in front. Unlined. beautiful Jacket for any occasion.